Because of the unique setting at Quinn Mountain Retreat, it is an ideal place for relaxing and renewing your energy. Reiki is a complementary modality to coaching because they both help to clear blocks that are getting in the way of meeting our goals. Relax on the massage table while I scan and clear energy blockages through reiki and other stress reduction and relaxation techniques for 60 minutes. I use a special technique called Aura Clearing to visualize and clear out blockages that are making you feel stuck. Enhance your energy clearing with a series of specially selected essential oils either applied to the hand or systematically to the back to promote relaxation, boost immunity, reduce inflammation and bring energy and balance. Learn relaxation techniques to try at home to continue your healing and stress reduction journey. On your first visit create a customized essential oil blend to support your continued healing. *The labyrinth and tea house walks can be self guided, and self paced, after your first visit, so allow extra time before and after your appointment. Allow 90-120 minutes total depending on how much time you would like to linger. If you book a stay at in one of our Air BnB suites, you can also follow up with a soak in the hot tub and/or a sit by the fire (fireplace in suite parlour only). Once you are ready to schedule your appointment, you can click on the calendar link below and select a 90 minute Reiki appointment for your first visit and a 60 minute Reiki appointment for future appointments. Aurora is a Master Reiki Practitioner trained by Samantha Brown of the Bija in Vancouver WA. 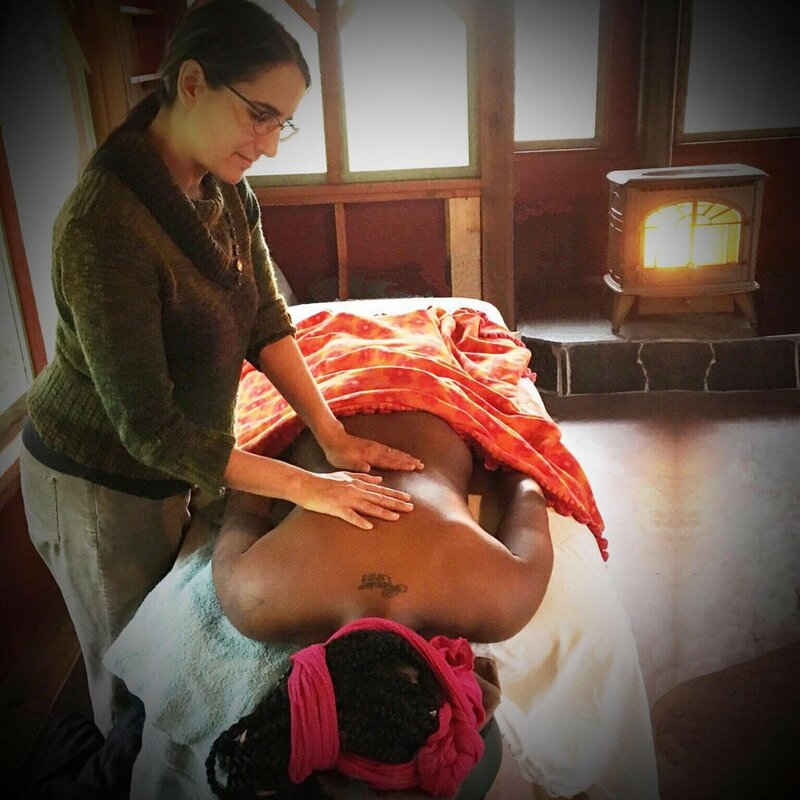 She is working on combining Reiki with other self-regulation tools including essential oils and is planning self-led reconnection retreat options available in early 2018. She is also a doTerra wellness advocate certified in their Aromatouch technique using essential oils to destress, strengthen immunity, reduce inflammation and bring energy and balance.